Very nice…much easier to navigate! Thanks Meghan! That was our goal with implementing this new custom admin bar menu – to help users navigate the site, whether they are searching the forums, watching videos, chatting or browsing blogs. The WordPress Admin Bar is the grey stripe visible to logged in members which includes menus with links to various user account and blog administrative tools. Now users will notice a new menu to the far left of the bar, no matter which blog they’re viewing. Hover your mouse over “tripawds” at far left to expand the menu for easy access to some of the most popular resources this community have to offer. Don’t see the Admin Bar? Register today to take full advantage of this network! For WordPress multisite network administrators interested in how we did this, it’s simple with the free Custom Admin Bar Menu plugin from WPMU Dev. Sure, you could hack functions to remove or add links to the admin bar, but why bother? If you’re looking to add a whole new menu, this plugin makes it easy. 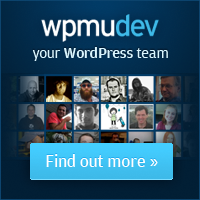 As usual, the team at WPMU Dev has created a sleek interface which allows for easy set-up and configuration. 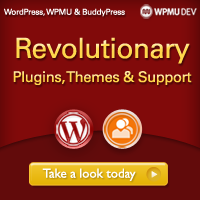 The plugin works with single WordPress sites and any multisite network. Adding and sorting links is easy sort with the drag and drop interface. And you can even use a small image for the menu title (no more than 28px high). Make it transparent for best results. TIP: Select the “External Page” URL type and include the whole address if you want to link to a certain page on a specific blog within your multisite network. Select “Administrative Page” if you want to direct users to one of their admin tabs. And select “Site Page” if you want to include the domain.tld of the site being viewed. Looking for more awesome WordPress multisite plugins? Checkout our list of all the plugins we use to power the Tripawds community or check out everything WPMU Dev has to offer! One of the new features we added during the recent News Blog makeover, was the ability to search all Tripawds Blogs. 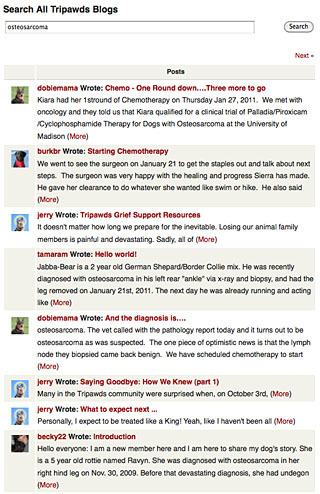 Previously, members and guests of the Tripawds community could only search individual blogs, one at a time. Now all posts are indexed and searchable from Jerry’s Site-wide Search page in his Tripawds News blog. This helpful functionality is now possible thanks to our Global Site Search plugin from WPMU Dev. The plugin is not new, we’ve been testing it for a while. But it is now compatible with our SimplePress forums! It will not return search results from forum topics, but it no longer breaks the forum hierarchy, so we were happy to deploy it to make searching the Tripawds Blogs easier for everyone. 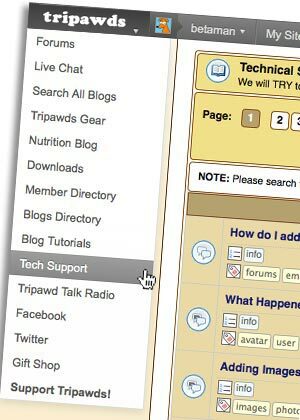 With more than 500 blogs and counting, it is now easier than ever to find what your looking for in the Tripawds WordPress multisite community. 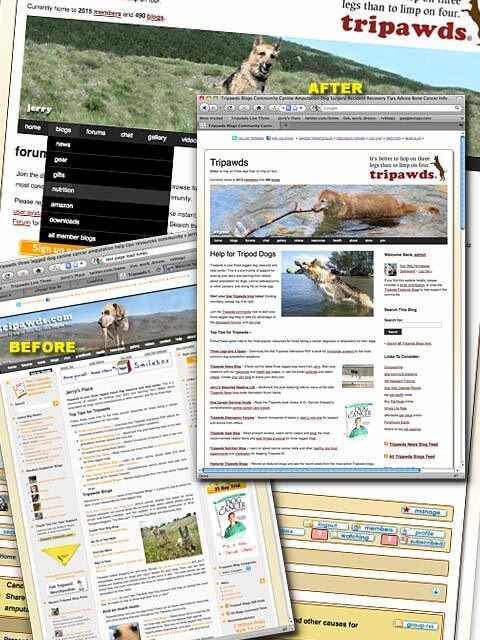 Search All Blogs: Visit the Tripawds Site Search page to easily search all blogs at once. Results will be displayed with the post title, link, excerpt, author’s name, and the members user avatar. Please visit WPMU Dev for complete details about the Global Site Search WordPress multisite plugin. Search the News Blog: In the sidebar of the Tripawds News blog you will find a search box that returns keyword results only from all of Jerry’s posts and pages. 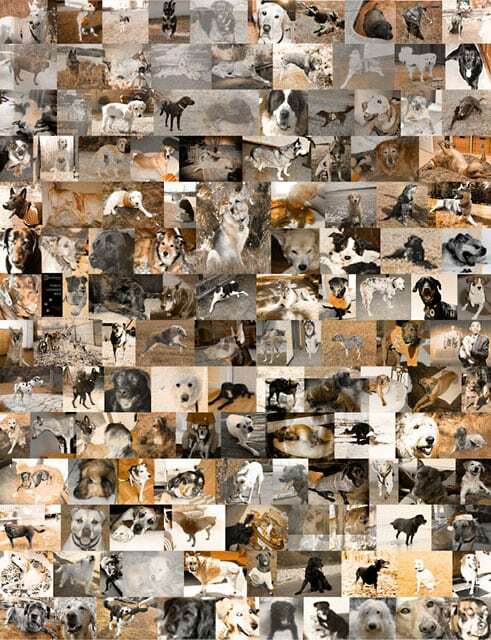 Search the Tripawds Forums: Use the Tripawds Discussion Forums search function to find keywords, topic titles, or tags from more than 3,700 topics and nearly 50,000 posts (as of this writing). Stay tuned for details about how to search for Tripawds blogs and members – two more new features we recently implemented thanks to our WPMU Dev Premium membership.